unauthorized parking into your private bay. 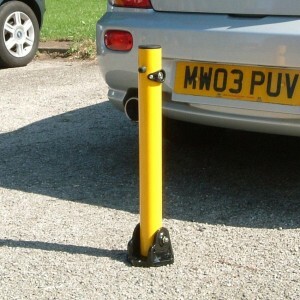 Our range of discount drop down or fold down car parking security posts will allow you to take back the control of your private parking space and give you the peace of mind that your parking bay will be clear for you whenever you need to park.The drop down posts will leave a flush finish with the ground when they are lowered,whilst the fold down posts will lay above and on the ground level when lowered. You will need to consider the maximum ground clearance available for your particular vehicle when purchasing a particular type of parking security post. 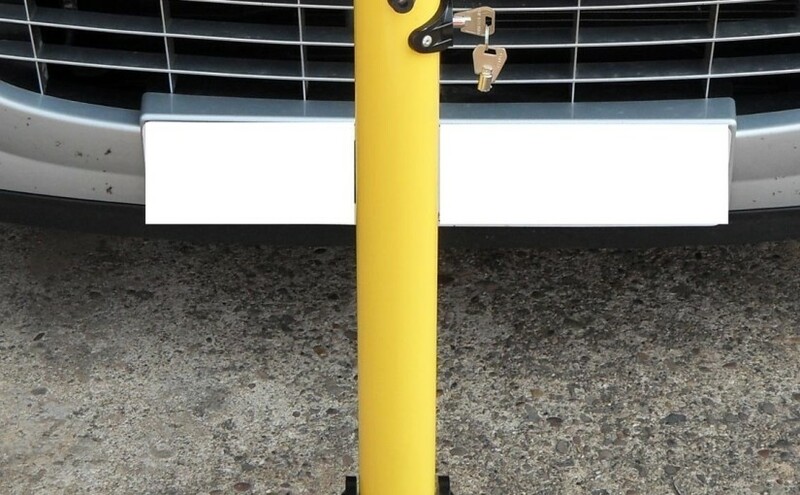 You then need to decide on how you would want it to be fixed to the ground and also on how you would prefer to be able to lock it.